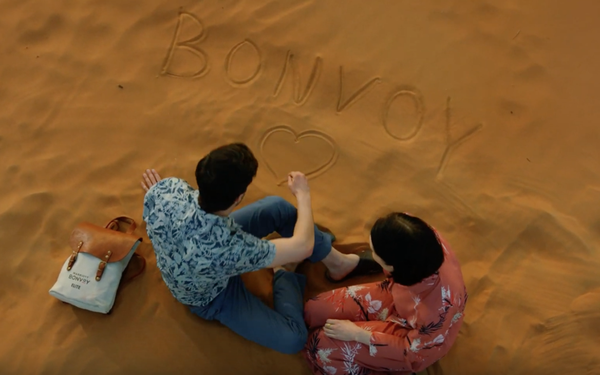 Marriott International is launching a global marketing campaign introducing Bonvoy, the hotel company’s new loyalty program. Bonvoy replaces Marriott Rewards, The Ritz-Carlton Rewards and Starwood Preferred Guest. TV ads will break Sunday during the 91st Oscars, featured within an insulated commercial pod during the ABC broadcast. The media was planned by Marriott One Media, a dedicated unit within Publicis Groupe. The spots are directed by Oscar-nominated filmmaker Jean-Pierre Jeunet in conjunction with Marriott Creative and Content Marketing and the agency Observatory Marketing. Two-time Oscar-winner Janusz Kaminski is overseeing the cinematography. The campaign also includes digital video, mobile, print, social media, out of home, and cinema, as well as special events and member access to partner experiences around passion points like sports and entertainment. The campaign will span 22 countries throughout the year and will take advantage of major cultural events to further showcase the new travel program around the world. Besides the U.S., it will run in Asia, Europe, North America and South America. Marriott is bolstering its roster of experiential marketing partners by entering into a multiyear agreement with Premier League powerhouse Manchester United Football Club. Marriott Bonvoy branding will appear prominently on ground-level "digiboards" within Old Trafford stadium and will be visible during globally televised matches. Marriott Bonvoy members can bid points for access to a branded luxury suite within the stadium to enjoy great views of the pitch and be treated to VIP hospitality. Member experiences which can be won by bidding points on Marriott Bonvoy Moments include access to this year's Oscars, with red-carpet viewing seats to see the stars walk into the awards, tickets to the Elton John AIDS Foundation's 27th annual Academy Awards Viewing Party featuring a performance by The Killers, and an invite to the exclusive after-party hosted by Vanity Fair. The brand is also planning to offer elevated hospitality at the Coachella Valley Music and Arts Festival taking place this April. Highlights of the activation include a branded member lounge, VIP dinner in the Rose Garden, behind-the-scenes tours and VIP viewing.